The Flanders-China Chamber of Commerce organized a luncheon focused on “China Insights: Partner Choice, Know-how Protection and Contract Enforcement”. This event took place on 26 April in Brussels. Keynote speaker: Mr Jan Holthuis, Partner at Buren N.V.
• Chinese partners background checks: what information is available in China? What are the most important facts to get? The event started with a networking lunch and word of welcome by Gwenn Sonck, Executive Director, Flanders-China Chamber of Commerce, followed by the presentation by Mr Jan Holthuis, Partner at Buren NV. A Q & A session concluded the event. The Flanders-China Chamber of Commerce and Startups.be have organized a conference on ‘Unicorn or Dragon: How to Tap into the Chinese Market for Growth?’ on 25 April 2018 at BECENTRAL in Brussels. With a population over 1.3 billion and 1 billion cyber citizens, sharing 1/5 of world GDP, China is now the second largest economy in the world. It is definitely a booming market. Global business leaders consider China as a key market in their global business strategies. Chinese business models, consumer behaviours, e-commerce, and social media have changed tremendously in the last 30 years. It is essential for entrepreneurs to understand the way of doing business in China taking into account the important potential of the Chinese market. Expanding to China becomes a must but with challenges to lead ahead. This event provided a unique opportunity for start-ups to learn how to avoid failures, overcome difficulties and succeed in China. It provided participants with deep insights about Chinese business models and ways to enter the Chinese Market. Following a word of welcome by startups.be and a speech by Gwenn Sonck, Executive Director, Flanders-China Chamber of Commerce, Bo Ji, Chief Representative & Assistant Dean of CKGSB Europe, presented the keynote speech on “Unicorn or Dragon: How to tap into the Chinese Market for Growth”. Q&A and networking sessions concluded the event. From 9 – 13 July 2018, Startups.be and EYnovation organise a high-level startup mission to Hong Kong and Shenzhen, with a focus on fintech, IOT and health. It is a perfect opportunity to discover the fast- growing Shenzhen and Hong Kong ecosystems by attending Asia’s most important startup conference (RISE Conference) and meet all the important players in the local communities. The Flanders-China Chamber of Commerce, VOKA West Flanders and the Cheung Kong Graduate School of Business have organized the workshop: ‘Negotiating with the Chinese: Cultural Roots & Practical Recommendations’ on April 24 at Bekaert NV in Zwevegem. Mr Bo Ji, Chief Representative Europe & Assistant Dean Global Executive Education of the Cheung Kong Graduate School of Business was the keynote speaker. This seminar offered guidance to business leaders on how to leverage cultural differences, complexity, uncertainty, and conflicts during the negotiation process with their Chinese partners. Following opening remarks by Ms Gwenn Sonck, Executive Director, Flanders-China Chamber of Commerce, Mr Bo Ji talked on the topics of “China vs West: different cultural negotiating models”, “Chinese cultural roots and elements to shape the negotiating skills” and “Strategies that lead you to a better negotiation outcome”. A group discussion and networking session concluded the event. The Flanders-China Chamber of Commerce (FCCC) and the Province of East-Flanders organized an information session on the opportunities of participating in the Belgian garden at the World Horticulture Expo in Beijing in 2019. The seminar was held on 23 April 2019 at PAC – Het Zuid, in Ghent. The World Horticulture Expo, themed ‘Live Green, Live Better’, will be held from April 29 till October 7, 2019. The Expo covers an area of 503 hectares, of which the Belgian garden will cover 1,500 square meters to promote Belgian horticulture. The organizers expect to welcome 16 million visitors, 20% from outside China. Expo 2019 will be organized for the first time in the vicinity of the Great Wall. The Expo will focus on green technology, the best available technology and innovative applications, including vertical cultivation, multilayer cultivation, and hydroponics. Martine Verhoeve, Vice Governor Foreign Affairs and Economy, Province of East-Flanders, welcomed the participants. Gwenn Sonck, Executive Director, Flanders-China Chamber of Commerce, gave an introd uction, followed by a speech by Pieter Van Oost, Secretary, Belgian Nurserymen and Growers Federation (AVBS). Aldwin Dekkers, Belgian Commissioner General’s Office of International Expositions, FOD Economy, gave a speech on “The Belgian Garden at the World Horticulture Expo”. A testimonial was presented by Reginald Deroose, CEO, Deroose Plants & Exotic Plant in China. A Q&A and networking reception concluded the event. Since late 2017 the Belgian federal government has recognized the importance of participating in the Beijing International Horticultural Exhibition in 2019. The Belgian Nurserymen and Growers Federation (AVBS) is calling on interested companies to participate in the exhibition. Information collected will be transmitted to the Belgian garden designer. More information is available on the AVBS website (in Dutch) and the organizer’s website. 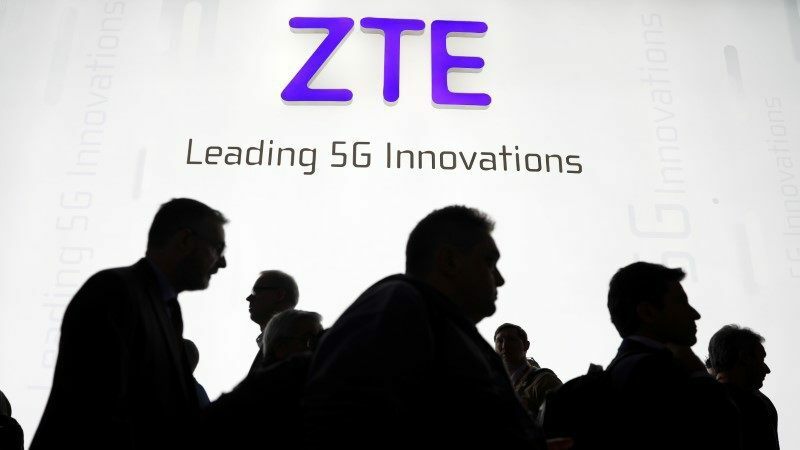 The U.S. government has banned sales by American companies to China’s ZTE Corp for seven years to punish the Chinese telecommunications equipment maker after it allegedly made false statements during an investigation into sales of its equipment to Iran. The ban had already been imposed last year but suspended since March 2017 after ZTE agreed to punish those responsible for covering up its sales to Iran and pay about two-thirds of a USD1.2 billion penalty. The sales of hundreds of millions of U.S. dollars worth of routers, microprocessors and servers to Iranian entities violated the U.S. Export Administration Act of 1979, according to an order by the U.S. Department of Commerce. “ZTE made false statements to the U.S. Government when they were originally caught and put on the Entity List, made false statements during the reprieve it was given, and made false statements again during its probation,” Secretary of Commerce Wilbur Ross said. Follow-up requests this year for documentation that ZTE punished nearly 40 employees running a unit conducting business with Iran and covering up the deals revealed that disciplinary action had not been taken, contrary to ZTE’s earlier pledges, according to the U.S. Department of Commerce. Those actions are “indicative of a company incapable of being, or unwilling to be, a reliable and trustworthy recipient of U.S.-origin goods,” the Department added. The company removed Cheng Gang, Senior Vice President, from his duties as Chief Compliance Officer and Chief Legal Officer on March 8. It is unclear whether Cheng remains an employee at ZTE. ZTE had promised to dismiss four senior employees and discipline 35 others involved in the trade violation by either reducing their bonuses or reprimanding them. ZTE Chairman Yin Yimin said in an internal memo to employees that the company has set up a crisis management team and appealed for calm among its 80,000-strong staff. The U.S. move prohibits large American companies like Qualcomm and Micron Technology from selling their chips and components to ZTE, making it more difficult for the company to become world leader in 5G technology. The Commerce Department’s reactivation of the order against ZTE also obligates the company to pay the remainder of the original penalty, or about USD300 million. Experts estimate that 25% to 30% of components used in ZTE’s products are imported from the U.S. In recent years, China has spent more than USD200 billion on imported chips annually, more than the amount spent on crude oil imports. Founded in 1985, ZTE is one of China’s major telecoms equipment suppliers and together with Huawei Technologies is spearheading the development and commercialization of 5G-related technologies. A relatively small smartphone brand in China, ZTE is nevertheless the fourth largest smartphone vendor in the U.S., following Apple, Samsung Electronics and LG Electronics. China’s Ministry of Commerce said it was prepared to take action to protect the interests of ZTE and other Chinese firms. ZTE has 14 offices and six research centers in the United States and supported nearly 130,000 high-tech jobs in the country. Rival Huawei Technologies has laid off five employees at its Washington office, including Vice President of External Affairs Bill Plummer, and slashed lobbying expenditures to USD60,000 in 2017 from USD348,500 in 2016. U.S. national security experts object to equipment made by Chinese firms to be installed in the U.S. telecommunications network. The U.S. Federal Communications Commission (FCC) also voted unanimously to ban federally subsidized telecom carriers from using suppliers deemed to pose a risk to national security. The ban still needs a second FCC vote to take effect, but highlights once again that Chinese tech players are finding it increasingly hard to access the U.S. market. In a piece of good news, Huawei’s 5G-ready products won official approval for commercial use in the European Economic Area as it obtained the first CE type examination certificate for 5G products. China has already established the world’s largest 5G test field in Beijing’s Huairou district, where domestic firms and foreign tech companies are participating in China’s third phase of 5G research and development tests.